Imaginate que estás frente a un atado de capullos de flores de tiare. Mientras están siendo entibiados por la luz del sol, de repente… ¡pop-pop-pop-pop! Todos ellos, y sin prefacios, florecen instantáneamente. Su blanca, dulce, afrutada y jugosa fragancia va directo a tu nariz. No podés alejarte de ella… y tampoco querés hacerlo, porque has caído bajo su hechizo. Cuir de Gardenia,la última creación de Mandy Aftel, es hechizante. Antes de que te des cuenta de ello, estás absorto por el proceso de florecimiento de una gardenia en cámara rápida. Al carecer de notas de salida, va directo a (las notas de) el corazón. El encantador espíritu del absoluto de tiare (también conocida como Gardenia de Thaití) evoca esa explosión floral blanca. El fenilacetato de etilo ofrece su aroma similar al de los alelíes, lo que resulta en un tono ambarado, similar al de una fruta madura (¿como el dátil? ¿o el higo?). Un cremoso y casi aterciopelado matiz aparece gracias al absoluto de jazmín grandiflorum. Este ingrediente conecta con precisión con el indólico acetato de benzilo. La dimensión naftalínica crece y crece hasta que llega un punto en que se percibe un trasfondo acuerado. Se trata del balance perfecto entre castóreo y maltol. Esta relación de figura-fondo exalta el carácter floral. Pero ese blend en segundo plano de caramelo con aceitosas notas animálicas es igual de bello que las notas principales. Cuir de Gardenia está disponible tanto en versión extract como en la sólida. Yo probé la primera. Su fijación en la piel es deliciosa y su longevidad es muy buena (entre 3 y 4 horas). Pero a no olvidar: si bien los perfumes naturales son más efímeros que los que contienen compuestos sintéticos, sus ingredientes son más ricos y lujosos. Origen de la muestra: cortesía de Aftelier. Imagine you are sitting in front of a bunch of tiare buds. They are warmed by the heat of the sun and suddenly… pop-pop-pop-pop! All of them, without any prefaces, happen to instantly bloom. Their white, sweet, fruity and juicy fragrance goes straight to your nose. You can’t get away from it… and you don’t want to, you’ve fallen under its spell. Cuir de Gardenia, Mandy Aftel‘s creation, is bewitching. Before you can even notice, you are enraptured by the blooming process of a gardenia, seemingly in fast motion. This doesn’t have any top notes so it goes straight to the heart (notes). 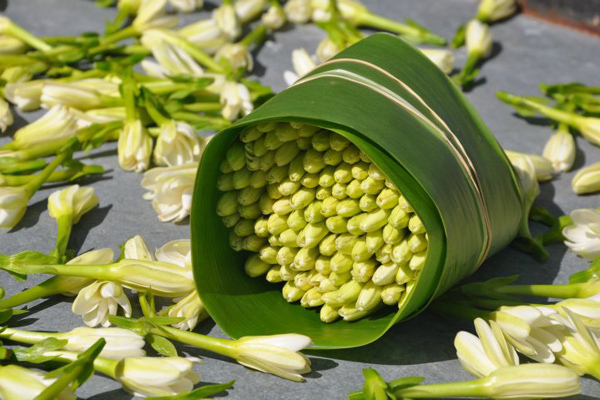 The charming spirit of tiare (aka Tahitian Gardenia) absolute evokes that white-floral explosion. The ethyl phenyl acetate offers its scent, reminiscent of sweet peas, and the result is an ambery hint, similar to a juicy ripe fruit (date? fig?). A creamy, almost velvety, hue appears cortesy of the jasmine grandiflorum absolute. This ingredient connects precisely with the indolic benzyl acetate. The naphthalene dimension grows and grows until you are able to perceive a leathery backdrop, that is a perfect balance between castoreum and maltol. This relationship between figure and background exalts the floral character but the blend of caramel and oily animalic notes in the back is as beautiful as the main notes are. Cuir de Gardenia is available in extrait form but there is also a solid version. I’ve tried the first one. Its fixation on the skin is delicious and its longevity is very good (between 3 and 4 hours). Remember: natural perfumes are more ephemeral than synthetic, but their ingredients are more rich and luxurious. Origin of sample: Vial courtesy of Aftelier. This entry was posted in Perfumes, Reseñas - Reviews and tagged acetato de bencilo - benzyl acetate, Aftelier, alelíes - sweet peas, caramelo - caramel, castóreo - castoreum, dátiles - dates, fenilacetato de etilo - ethyl phenylacetate, higo - fig, jazmín - jasmine, maltol, Mandy Aftel, Perfumería Natural - Natural Perfumery, tiaré - tiare. Bookmark the permalink. Sounds interesting! 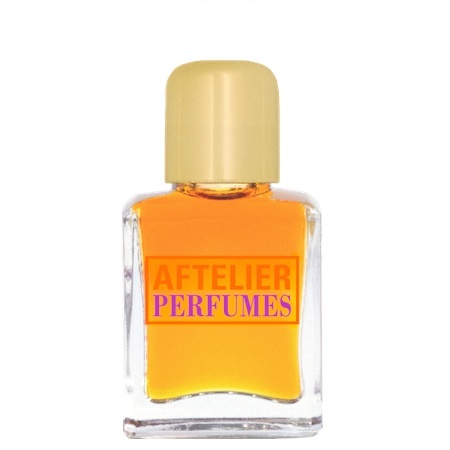 I haven’t tried a single scent from Aftelier. It is interesting! First time I tried Cuir de Gardenia, it was like “ooohhhh mmmmm ahhhhh” (while I was trying to describe it to Caro by chat! LOL). Thank you so much for such a wonderful review Virginia! It is all the more special to me because of getting to know you in class, it adds a lot that you know these materials so well! As a matter of fact, I’ve discovered the charm of tiare in your classes! This extrait has a strong emotional connection with my “nose surfing” at your studio. I love it! Great review. 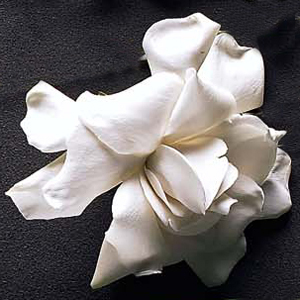 Cuir de Gardenia is at the very top of my to-sniff list! Thank you Baconbiscuit! Have a nice weekend. Mandy has made a fragrance that’s a dream. There is nothing winsome about Cuir de Gardenia…but it’s just so wonderfully full bodied. I’m so glad you love this as much as I do! I love its strong contrast between floral and animalic notes but there is -at the same time- a smooth connection in the middle.